Submitted by Nilstempo on December 02, 2018. Holiday mayhem from today's top merry makers! A throbbing pleasure package soon to be stuffin' a stocking near you! Deck yer halls with this boss 4-track Christmas offering from your fave instrumental combo! This years' coolest round of holiday cheer comes from those Norwegian sensations, the Twang-O-Matics, placing four killer tracks under your tree! Norway’s top instrumental group rips it up on this seasonal slab of wax, applying their trademark style to four familiar yuletide tunes. Christmas is a merry time and what could make one merrier than giving this great new Christmas platter a whirl on the ole holiday hi-fi? 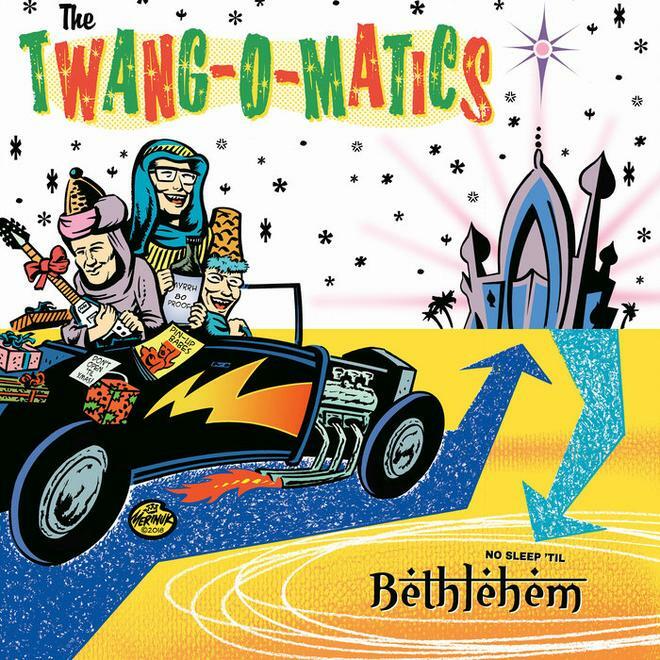 Wherever you are, whatever you are doing for the yuletide, let the Twang-O-Matics provide the perfect holiday soundtrack! No Christmas party is complete without a couple o' spins from this.